The 2019 Oscar nominations are in and it appears black film magic is happening with the number of nominations African-Americans received. Some of the historical nominations include Hannah Beachler’s nomination in the category of Best Production Design, a first for an African-American. Queen Regina King continues to rule with her nomination for Best Actress for Academy award-winning filmmaker Barry Jenkins’ adaption of James Baldwin’s critically-acclaimed book If Beale Street Could Talk. Prolific costume designer Ruth Carter received a nod for her futuristic couture in Ryan Coogler’s Black Panther. Coogler didn’t receive a nomination for directing the cultural phenomenon, which isn’t unusual for comic book films, but Spike Lee finally got a Best Director nod for his controversial film BlacKkKlansman. Lee who directed Do the Right Thing (1989) and Malcolm X (1992) received prior nominations for Best Original Screenplay for Do the Right Thing and Best Documentary Feature for 4 Little Girls. The filmmaker was awarded a 2016 honorary Oscar for his body of work. This is the first time the seminal director has been nominated in the Best Director category. Previous Academy Award-winners Mahershala Ali and Jordan Peele also received nominations for work on Green Book (Best supporting actor – Ali) and BlacKkKlansman (Best Picture – Peele is a producer). Longtime Lee collaborators (including Ruth E. Carter), composer Terence Blanchard and editor Barry Alexander Brown also received nominations for BlacKkKlansman. Perhaps the most interesting nominations happened in the documentary categories. 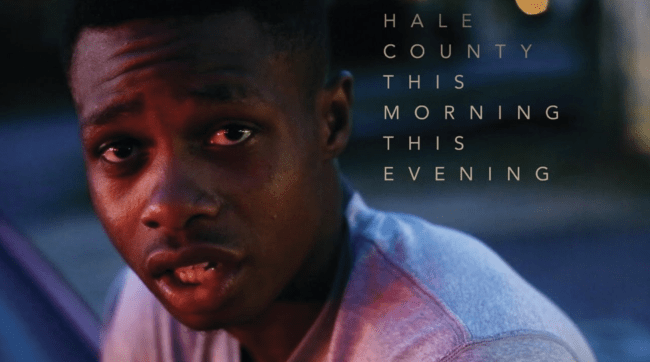 Director and cinematographer RaMell Ross was nominated for his documentary Hale County This Morning, This Evening which explores the intimate lives of two black men in rural Alabama and their life choices. The film challenges the dominant narrative of who and what black people are and who makes up rural America. With this film, Ross reminds audiences all black lives matter. Documentary short Black Sheep examines race in the U.K. and Lifeboat takes a harrowing look at North African migrants fleeing Libya and attempting to make it across the Mediterranean sea for a better life. The 2019 Oscars will be interesting to watch in general, especially with the diverse nominees on the ballot and subject matter. Will Black film magic happen at this year’s Oscars? Who are you rooting for? Let us know @TheBurtonWire. The 2019 Oscars air February 24, 2019 live on ABC at 8 p.m. EST. This post was written by Nsenga K. Burton, founder & editor-in-chief of The Burton Wire. She is also entertainment and culture editor for NNPA/BlackPressUSA and contributes to The Grio, The Huffington Post and The Daily Beast. A film and media scholar and instructor in the Department of Film and Media Studies at Emory University, follow Nsenga on Twitter @Ntellectual or @TheBurtonWire. Thoughts and views expressed are mine. The Green Book: The Safety Guide Makes a Comeback?